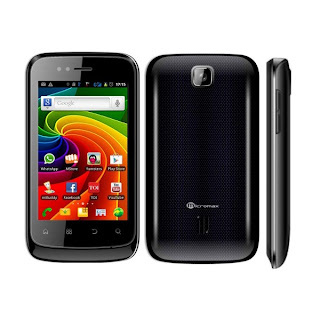 Micromax - Superfone Punk A45 (dual SIM) . The entry level Android handset with satisfying features for the price. -The first thing you'll notice about this phone is its large 3.5 inch capacitive touchscreen display which is one of the best in this price range. -It supports a HVGA resolution of 480 x 320 with 165ppi density. -Thus it makes the screen a replica of Samsung Galaxy Ace which has the exact same features. -However it does not have Gorilla Glass like the Ace, so handle it with care. Advice: The 480 x 320 resolution is taken into consideration while installing most of the applications & games. There is no use of having a fast processor of 800MHz or 1GHz if your screen is not able to display the app or game. The 650MHz processor is sufficient enough. When compared to Micromax Aisha A52, Ninja A50, & Galaxy Y, the Superfone A45 has a bigger, better and high resolution display than all of them, thus A45 will provide better viewing quality. The thing missing is the voice recognition system provided by Aisha and the 800 MHz & 1GHz processor. Large Display is the same as the Micromax Superfone Ninja2 A56, which is released recently . -2G Network : GSM 900 / 1800 - SIM 1 & SIM 2. -Wireless LAN (Wi-Fi): Wi-Fi 802.11 b/g/n. -Bluetooth version : v2.0 with A2DP. Note: GPS & 3G Network is not supported on this phone. -650 MHz processor is fast enough to support most of the applications and games, only multitasking will be a bit slow. This processor is not at all that slow the way people exaggerate it. -This phone runs Android Operating System v2.3 a.k.a. Gingerbread, there is no support for Ice cream sandwich. -Loudspeaker & 3.5mm jack is present. -Internal Memory 180 MB, 256 MB RAM is enough to install apps and games supported for this phone. -External Memory card slot Micro SD upto 32 GB is supported. -Battery used is standard Li-Ion 1300 mAh. -Primary camera is 2 MP (no flash), 1600x1200 pixels, video recording can be done. -Camera features: Multi-shot, Night Vision, Camera Sensor Setting. -Its available in Black & White colours. Advice: 3.5 inch screen is big, so it may use more battery when your screen is on. Battery will last the entire day with little usage of games and apps, however if your usage is above average you may need to charge two times a day. -People who prefer a good display. -People who are not interested in a 3G connection and GPS navigation. -People who rarely use the camera that much. My final view: This is the best phone for its price, display is very good, processor can handle most of the work easily and the operating system used is Android 2.3 Gingerbread. 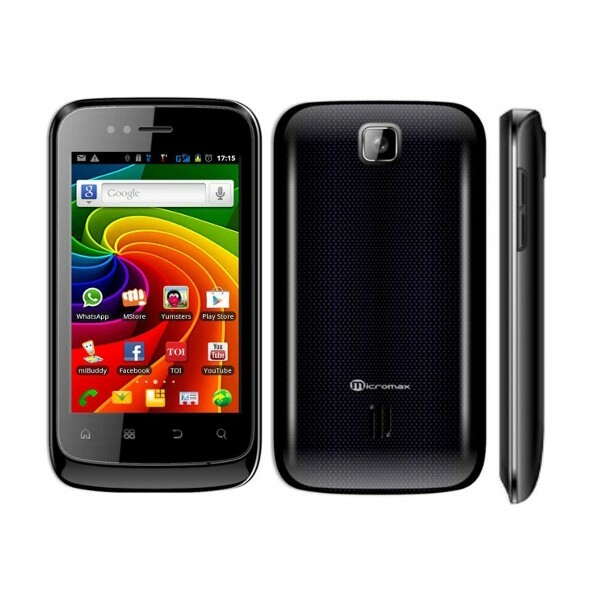 Large Display is the same as the Micromax Superfone Ninja2 A56, which is released recently. Jelly Bean Android 4.1 Review on Galaxy Nexus ! Sony Xperia U : Super power with limited memory. Google Glass : Project Glass from Google ! Jelly bean 4.1 Android OS list for phones . The New SONY " Xperia Tipo " with Ice cream Sandwich Android OS for only Rs. 9499 India - ( £ 120 UK - $ 190 US) . Game : Man's best friend ! DSZ. Simple theme. Theme images by rajareddychadive. Powered by Blogger.